It is our mission to revolutionize the storage of renewable energy and make it accessible to as many people as possible. Climate change and energy poverty are perhaps the greatest challenges for our future. In response, Germany has started a revolution in energy production, consumption and technology development. A decision to shift baseload production to renewable energies is a decisive factor in achieving this transformation. The production of renewable energy from wind and solar through the widespread introduction of wind turbines and photovoltaic panels is the first phase of this energy revolution. The next major challenge will be to maximise the impact of renewables on the energy mix through introduction of low cost and reliable energy storage. Since renewable energy sources are subject to fluctuations it is necessary to store energy for consumption at a time and location to suit the consumer. Volterion has developed its Redox-Flow technology working in partnership with the Fraunhofer Institute UMSICHT. The company now wants to accelerate the energy revolution and make a significant contribution in the fight against climate change through widespread deployment of its technology. 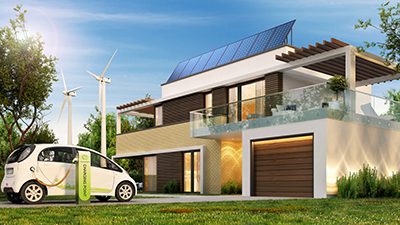 Volterion’s Redox-Flow batteries offer domestic consumers, businesses and energy producers the opportunity to store and fully utilise clean energy production. Novel production processes and innovative design enable Volterion to minimise cost of ownership. The long service life and minimal maintenance requirements of Redox-Flow batteries ensure that your investment quickly generates a return. You don’t even have to worry about the environmental impact of your new battery, as Redox-Flow batteries are completely recyclable. Volterion is working closely with local partners in the sale and installation of complete battery storage systems.